What are anticoagulants and why are they used in lupus treatment? Warfarin (Coumadin) and heparin are anticoagulants (“blood thinners”), medications that decrease the ability of the blood to clot. About one-third of people with lupus have antibodies to molecules in the body called phospholipids. Sometimes these antiphospholipid antibodies (called anticardiolipin, lupus anticoagulant, or anti-beta2glycoprotein I) can lead to blood clots—thromboses—such as deep venous thrombosis, stroke, or heart attack. A blood clot by itself is called a thrombus; a blood clot that breaks off and travels elsewhere in your circulatory (blood) system is called an embolus. It is rare for a blood clot to migrate to another part of the body and block one of your blood vessels, but if it does (a condition doctors call a thromboembolism), it is always serious. Blood clots can cut off circulation to your arms, legs, lungs (pulmonary embolism), brain (stroke), and heart (heart attack). Warfarin and heparin work in slightly different ways, but both block the production of certain proteins in your liver that work together to help your blood to clot. These proteins are called “cofactors.” Vitamin K controls the creation of these cofactors in your liver, and warfarin reduces clotting in your blood by preventing vitamin K from working correctly. Heparin also works by preventing certain cofactors, namely thrombin and fibrin, from working correctly. By blocking the process early on, both warfarin and heparin ultimately help to reduce blood clots from forming in your body. How should I take these medications? Warfarin comes in tablet form, and heparin must be given as an injection. The amount of medication needed differs with each person and each situation, and individuals on these medications should be closely monitored by their doctors to ensure that they are being given the correct dose. Can I take these medications while I am pregnant? Warfarin (Coumadin) is not safe during pregnancy. It can cause birth defects and fetal bleeding. Women who take warfarin must switch to heparin or low molecular weight heparin before they become pregnant, since heparin or low molecular weight heparin (Lovenox, Fragmin) do not cross the placenta into the fetus. What should I remember while taking anticoagulants? Do not smoke or drink alcohol while taking anticoagulants. Smoking increases the risk of blood clots and cardiovascular disease, and cardiovascular disease is the number one cause of death in people with lupus. Alcohol can interfere with the effectiveness of anticoagulant medications, can be harmful to your liver, and can irritate your stomach (gastritis), causing bleeding. Warfarin is the most widely used anticoagulant, but because everyone differs in their physiological make-up, dosage requirements differ from person to person. Blood clotting is a natural protective mechanism employed by the body to seal off damaged blood vessels; any medication that alters this natural protective mechanism must be carefully monitored. People taking warfarin must obtain a blood test every 2-4 weeks to ensure that their blood is thinning to the correct degree without bleeding complications. This test (the INR, discussed below) may be requested several times a week at the beginning of your treatment to ensure that you are started on the correct dose. The two tests used to monitor warfarin levels in the blood are the Prothrombin Time (or, just “Pro-Time,” or “PT”) and a test called an INR (International Normalized Ratio). In actuality, Prothrombin time is the test used, and INR is simply a standardized way for medical institutions to report consistent values for Prothrombin times. The INR ratio is calculated based on comparison of blood tests against a known standard, and your physician will monitor your warfarin levels based on this INR ratio. Generally, an INR of 2.5 to 3.0 indicates that the patient is receiving the correct dose of warfarin; INR values above 5.0 can be dangerous, and those below 1.0 indicate no warfarin effect. Heparin works faster than warfarin, so it is usually given in situations where an immediate effect is desired. For example, this medication is often given in hospitals to prevent growth of a previously detected blood clot. This medication is also recommended for pregnant women in whom antiphospholipid antibodies have been discovered, since warfarin can be harmful to an unborn child. However, when taken for long periods of time, this medication might increase the risk of osteoporosis. Usually patients switch to warfarin when long term anticoagulant treatment is recommended. What are the potential side effects of anticoagulants? The two most serious side effects of anticoagulants are bleeding and gangrene (necrosis) of the skin. Bleeding can occur in any organ or tissue. Bleeding in the kidneys can cause severe back pain and blood in the urine. Bleeding in the stomach can cause weakness, fainting, black stools, or vomiting of blood. Bleeding of the brain can cause severe headache and paralysis, and bleeding of the joints can cause joint pain and swelling. Other side effects can include rash, bloating, diarrhea, jaundice (yellowing of the eyes and skin), hair loss, itchy feet, pain in the toes, and, in the case of heparin, mild pain, redness, or warmth at the injection site. Bleeding gums, excessive bruising, nosebleeds, heavy menstrual bleeding, and prolonged bleeding from cuts may indicate an overdosing of medication. Notify your doctor if these problems occur. Some people receiving heparin have experienced a reaction to the infusion, so contact your doctor immediately if you experience any abrupt and serious side effects, such as sudden numbness, confusion, swelling, or trouble breathing. What medications and foods should I avoid while taking anticoagulants? While taking anticoagulants, you should avoid supplements with vitamin K. Remember that vitamin K controls the formation of proteins in your liver involved in clotting, so taking in vitamin K can work to counteract your medication and increase your risk of blood clots. In addition, you should avoid medications that can increase your risk of bleeding. These medications include aspirin, NSAIDs, multivitamins with vitamin K, and fish oil. Any antibiotic may change the Coumadin INR test. If you must take an antibiotic, notify your Coumadin clinic so that they may schedule an additional INR check. In addition, be sure to speak with your doctor before starting any new medications. Your physician may also recommend that you carry some sort of identification to alert health professionals of your use of anticoagulants should an emergency or other situation arise. 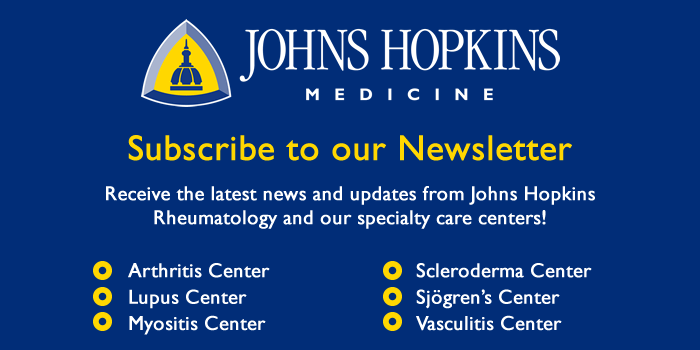 All information contained within the Johns Hopkins Lupus Center website is intended for educational purposes only. Physicians and other health care professionals are encouraged to consult other sources and confirm the information contained within this site. Consumers should never disregard medical advice or delay in seeking it because of something they may have read on this website.